Traveling to a city, such as Copenhagen where the cuisine is big on pastries and rye bread, a celiac would wonder if it is even possible to go out to eat or if he must stuff his or her suitcase with packaged gluten free food. But after spending a few days in Copenhagen it is safe to say that the city is actually very gluten-free friendly. However, we understand that being a gluten free friendly city is not always a good thing for celiacs, especially since going gluten free became a fad diet. I say this because restaurants will often claim to have gluten free meals, which for them just means removing the bread or replacing the wheat pasta for rice pasta, but still use the same fryer for gluten and non gluten items, or storing gluten free bread right next to wheat bread or cooking gluten free food with the same gluten infested utensils. Simply said, many restaurants don’t have a proper training in preparing gluten free food. Many blog post and articles will suggest for celiacs to eat at these restaurants, not understanding the severity of cross contamination. However we know better. 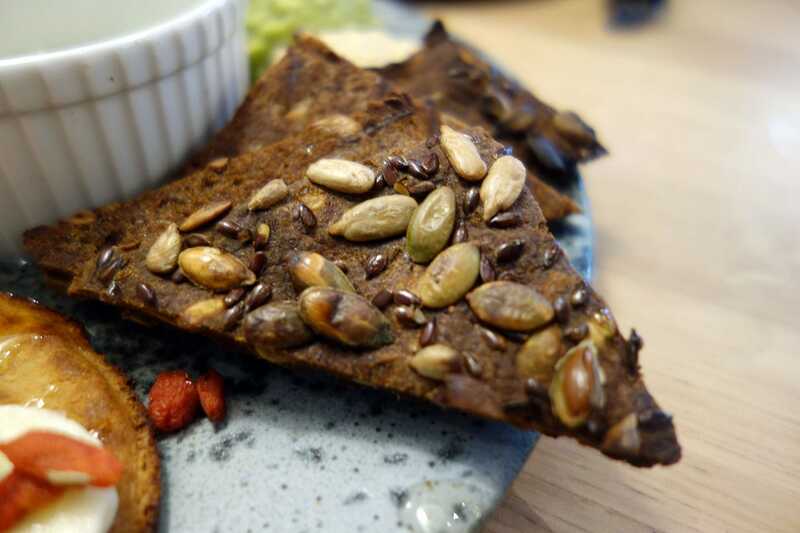 Below is a list of restaurants in Copenhagen that are dedicated gluten free which means 100% naturally gluten free meals and 100% gluten free bread. Fear no cross contamination. But this article isn’t the end of all the dedicated gluten-free restaurants hiding in Copenhagen! Find even more gluten-free restaurants in our new ebook, 100% Dedicated Gluten-Free Restaurants Around the World. B.) Eat here for every meal throughout the duration of your stay in Copenhagen. To make your life easier they even have several other stores around the city just in case you want a change of scenery. And yes EVERYTHING is gluten and worry free (just the way we like it), but as always remember to double check (new items may be added). Yes, yes I know another Raw/Vegan/Vegetarian restaurant, but hey keep an open mind because you won’t be disappointed. 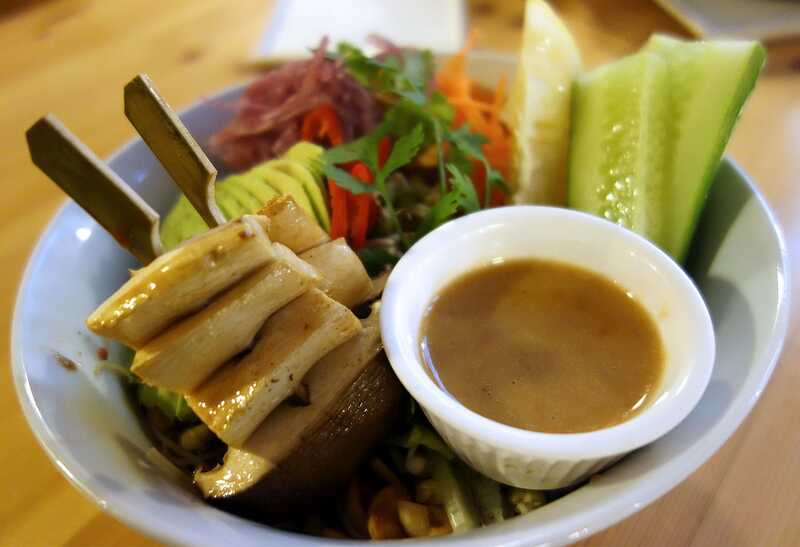 This raw restaurant has a more Asian feel to it. Though the menu is in danish only, the workers speak great English and can help. But you probably won’t even need them, all you have to do is just pick from the mouth watering picture based menu. Warning, everything looks scrumptious. They also sell gluten free versions of Smørrebrød called Kernbrød for 65 DKK. Our favorite item: The burger with avocado and cheese and a side of Asian salad. Paper Island (Papirøen) has over 35 food trucks with a wide and diverse range of food however, only a few are gluten-free friendly and the chance of cross contamination is high. Not recommended for celiacs. There is only one stall that is dedicated gluten free, Brass. This stall sells just one item, egg wraps which means you don’t have to worry about cross contamination. The egg wrap is 80% organic and gluten free and comes with or without brass meat. 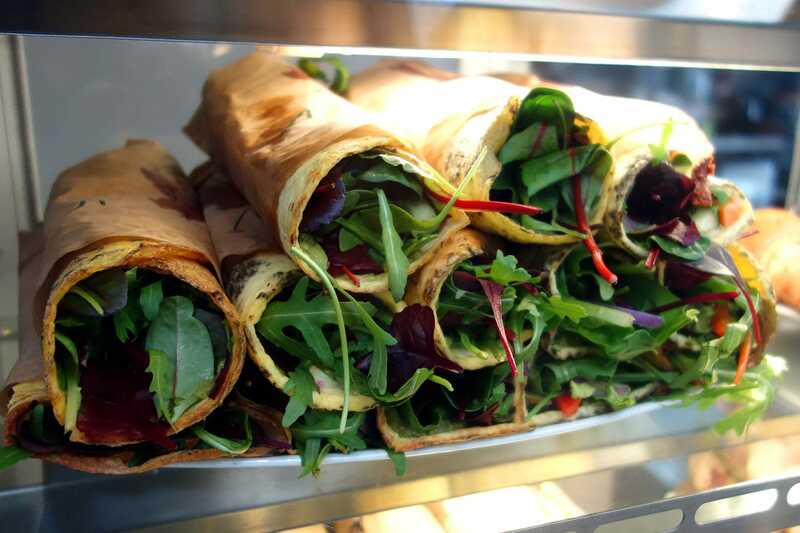 All wraps come with vegetables, fresh herbs and a yogurt tahini dressing. Please note that there is also a Brass restaurant in Copenhagen but we are not sure if the restaurant is a dedicated gluten free restaurant. Copenhagens new food market located next to the Nørreport station host over 75 vendors, two of which are 100% dedicated gluten free stalls. When was the last time you had a panini, I can imagine it was quite some time ago. 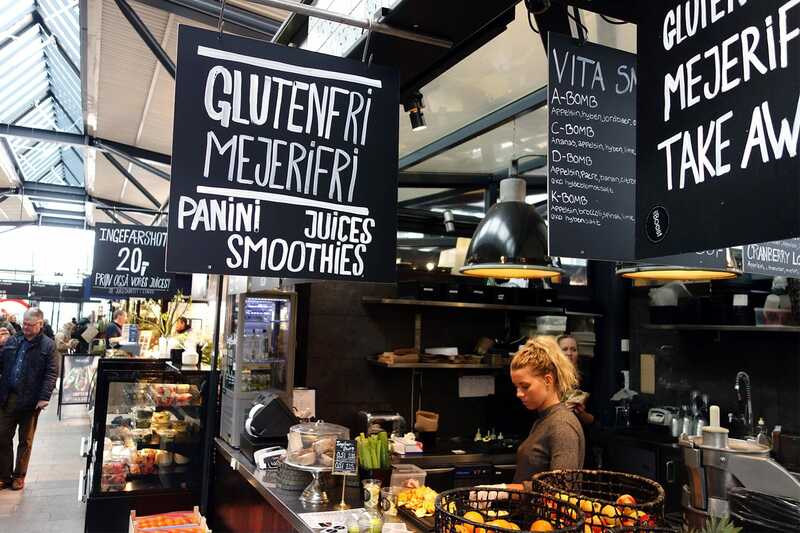 Well have no fear because at Vita Boost you can get a gluten free panini, and for 100 DKK you can even get a gluten free panini and a smoothie. Oh and don’t forget the gluten free muffins. Please note that there is also a Vita Boost store in Copenhagen but we are not sure if the restaurant is a dedicated gluten free restaurant. Our favorite item: Salmon panini and the G-Bomb smoothie. I am pretty sure everyone has heard of the Paleo diet with its grain free dietary rule. This Paleo diet following restaurant makes it a celiac heaven, 100% gluten free and no chances of cross contamination. 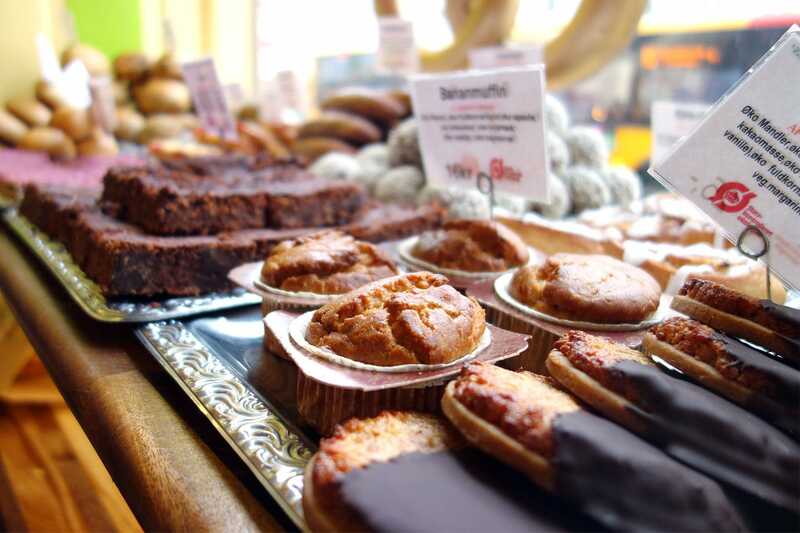 This is probably the only bakery in Copenhagen that has such a wide variety of baked gluten free goodies. The sell gluten free muffins, cookies, cakes, and bread. All gluten free baked goods are labeled in red and stored separately from the gluten infested goods. Though all gluten free goods are said to be cooked in a separate room from the other product one cannot guarantee there is no cross contamination. Not to mention that all the baked goods share the same store. For those of you who prefer to make your own meals or don’t want to eat every single meal at a restaurant, here is a list of some supermarkets and stores that sell local and imported gluten free products, such as pasta, cookies, bread, and more. Some popular gluten free brands are: Schar, Allergikost and Bob’s Red Mill. Has an entire section with dedicated GF products. Pricer GF products but also higher quality products. 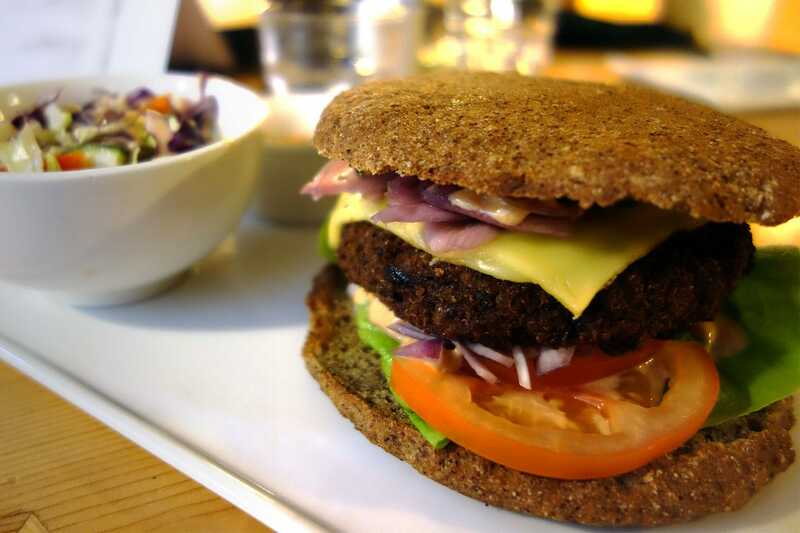 So there you have it, our celiac’s guide to gluten free restaurants in Copenhagen. Hopefully you find this guide helpful and remember to be cautious and ask as many questions as you want because your health is non-negotiable regardless if a restaurant is 100% gluten free because new items can always be added to the menu. Are there dairy free and soy free choices at the gluten free restaurants you listed?